In further recognition of its efforts Benchmark International has been named ‘International Mid-Market Corporate Finance Advisory of the Year’ at the ACQ Global Awards 2014. Regardless of political viewpoints, it is undoubtedly the case that many business owners will benefit greatly from the result of the Scottish referendum. As two years of campaigning has been drawing to a heightened conclusion over the past few months, M&A activity has stalled as a result due primarily to the very real possibility of Scotland becoming an independent country and all of the uncertainty that would have come hand in hand with that decision. So the Scottish people have spoken, an astounding 90% of them in some areas, and they have decided that the Union will go on - for a decade or two at least. Cornerstone Software Services acquired by CorSys Technology Group, Inc. Benchmark International has advised the seller on the successful sale of Cornerstone Software Services Inc. to CorSys Technology Group Inc. for an undisclosed sum. Benchmark International has advised on the successful sale of Medical Services (North East) to ERS Medical for an undisclosed sum. Benchmark International has advised on the successful recapitalization of G.W. Shultz Tool, Inc.(GWS) by Addison Capital Partners (ACP) in partnership with the management team of GWS in an undisclosed deal. Braille Battery, Inc. acquired by Grafoid Inc. Benchmark International has advised on the successful sale of Braille Battery, Inc. to Grafoid Inc. for an undisclosed sum. July saw the UK’s total deal volume soar by almost 20 per cent, according to Experian Corpfin, recording the highest regional growth across the world. 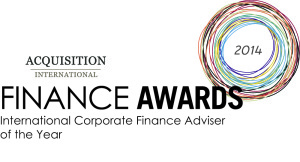 Benchmark International is immensely proud to have been named ‘International Corporate Finance Adviser of the Year’ at Acquisition International’s 2014 Finance Awards.